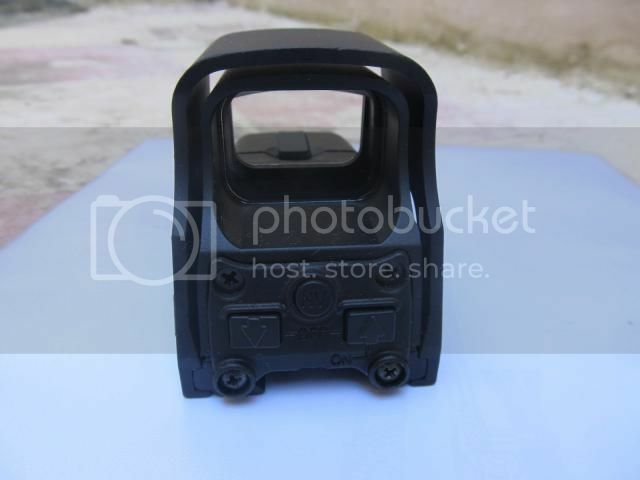 Have Eotech sight for 200 Euro. Sight is the genuine product and not a cheap air soft copy. Its unused and does not have a single blemish or scratch. I dont have the original box unfortunately. which model is this please? By the looks of it, its one of the early models! 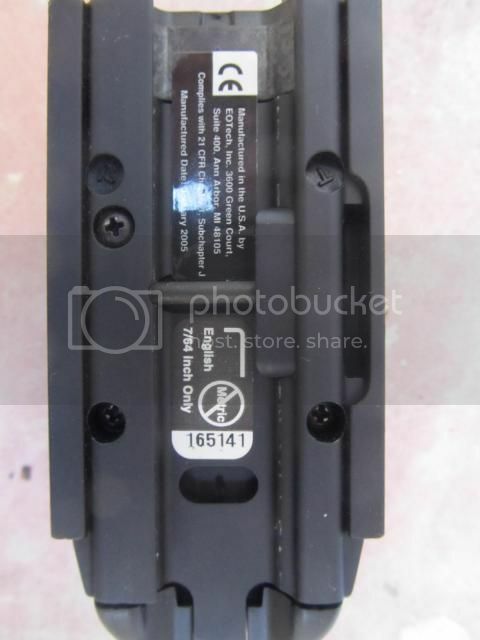 The battery compartment has changed with the new versions! Dont really know the model since Eotech don't mark their sights and the box is lost. This sight just sat on a gun in a safe in Switzerland for a couple of years. I bought it along with a gun and some other items last year. I actually wanted the original sig mount that came with it and its a bit of a long story. The model that came after this used a different battery and the claim is that the newer battery lasts longer. I replaced the battery about 3 months ago. It sits on my desk and occasionally I just turn it on for a while, just to see how it runs. So far, 3 months later its still running. I am not sure of course, but from playing with 7, seven aimpoints and one Eotech, the obvious difference between the older and newer models is battery and battery life. I suppose if you are out in the middle of knowhere with no shops around, this would be a vital factor, but for messing about on the range, I find the older models have adequate battery life. 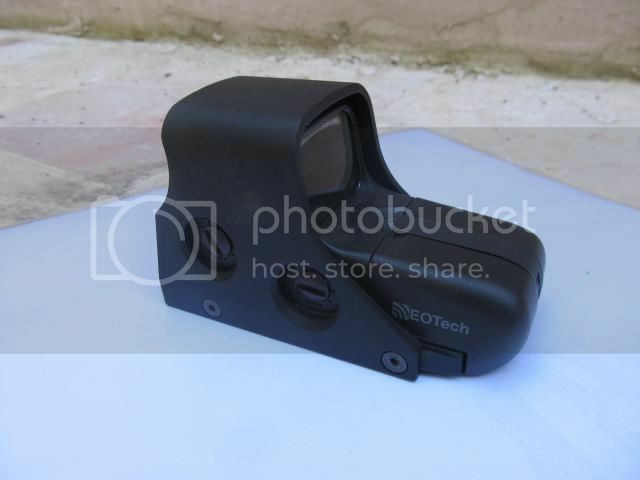 Anyway, you will not be spending many hundreds of euro on this eotech, just a sturdy unit for most uses. Next week I will be doing the Christmas tour for family and friends in Switzerland and the money will go into this trip and maybe more iron goodies . I leave on the 24th, and if the sight remains unsold by this time, the urgency to sell will go and so I will probably not sell it at all.